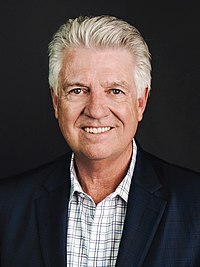 Jack Graham is the pastor of Prestonwood Baptist Church in Plano, Texas. Born in Conway in Faulkner County in central Arkansas, young Graham was baptized as a professed believer in Jesus Christ at First Baptist Church in his hometown. From there, his life took a steady course into Christian ministry that continued during his formative years in Fort Worth, Texas. In 1970, at the age of twenty, he was ordained pastor of his first church, married and halfway through Hardin-Simmons University in Abilene, Texas, where he earned a Bachelor of Science degree with honors. Graham began his ministry as pastor of East Side Baptist in Cross Plains in Callahan County, Texas (1970–1971). Following his associate pastorate at Sagamore Hill Baptist Church (1972–1975), he went on to pastor First Baptist Church in Hobart, Oklahoma (1975–1978), First Baptist Church in Duncan, Oklahoma (1978–1981), and First Baptist Church in West Palm Beach, Florida (1981–1989). In 1989, Prestonwood Baptist Church, then a Dallas congregation with a membership of approximately 11,000, called Graham as pastor after its founding pastor, Bill Weber, admitted to an extramarital affair and resigned. As the church family continued to increase by some 2,000 members annually, leaders and members prayed, investigated, deliberated and finally, in 1999 built a new 7,500-seat  worship facility, school and ministry complex on 150 acres (0.61 km2) in west Plano. In 2006, Prestonwood opened its second campus in Prosper, near U.S. Highway 380 and Dallas Parkway. That same year, the church also completed a new children's wing and updated its facilities for PowerPoint Ministries, including an upgrade to High Definition (HDTV). The church reached the 43,000-member mark in 2018, with regular attendance at worship services averaging about 17,000. Graham has served two terms as president of the Southern Baptist Convention, the largest American Baptist denomination, with 16 million members, and as president of the SBC Pastor’s Conference. Pastor Graham served as Honorary Chairman of the 2015 National Day of Prayer and is currently a member of President Donald Trump's Religious Advisory Council. He participated in the National Prayer Service at the Washington National Cathedral the day after the inauguration. Graham's theological views reflect the Southern Baptist Convention's Baptist Faith and Message. Unseen: Angels, Satan, Heaven, Hell, and Winning the Battle for Eternity. Baker Publishing Group. 2013. ISBN 978-1-4412-6229-5. Angels: Who They Are, What They Do, and Why It Matters. Baker Publishing Group. 2016. ISBN 978-1-4412-6551-7. ^ "The religious response to Syria's travails is prolix and confused". The Economist. Apr 8, 2017. Retrieved 11 April 2017. ^ Southern Baptist Historical Library and Archives (February 2010). "Inventory to the Jack Graham Papers" (PDF). Southern Baptist Historical Library and Archives. Retrieved March 7, 2017. ^ Bonnie Pritchett (October 22, 2010). "Ft. Worth church produced Baptist leaders". Southern Baptist Texan. Retrieved July 5, 2011. ^ "Quick Facts - Prestonwood Baptist Church". Prestonwood Baptist Church. February 29, 2012. ^ Shellnutt, Kate. (January 19, 2017). "Trump Stacks Prayer Service Lineup with Evangelicals". CT website Retrieved February 10, 2017.